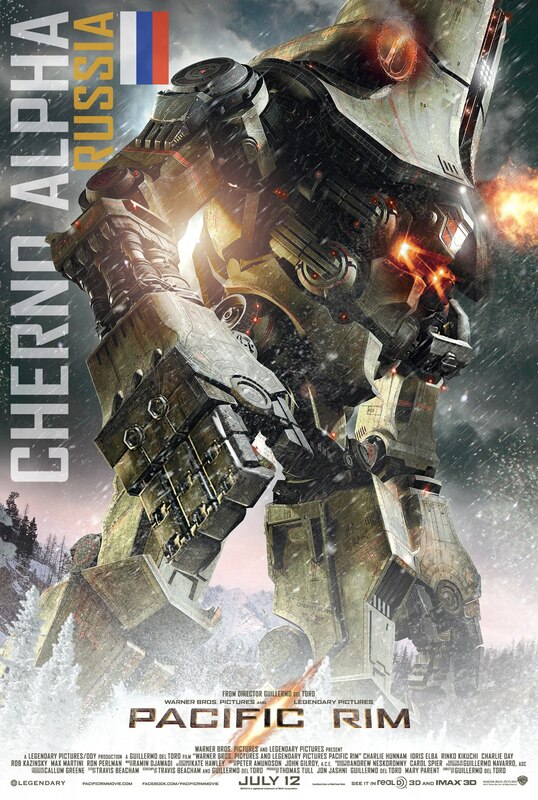 The Facebook page for the forthcoming movie Pacific Rim has released a new character poster of the Russian Jaeger named Cherno Alpha. I really don’t like the Russian one as much as the insanely amazing Japanese robot. I think my main issue is that despite trying to give the connotation of industrialisation (in the various furnaces etc), to me it doesn’t look Russian. No idea what a Russian robot looks like, but it ain’t that! The ‘Main’ Pacific Rim Movie Poster Has Arrived!